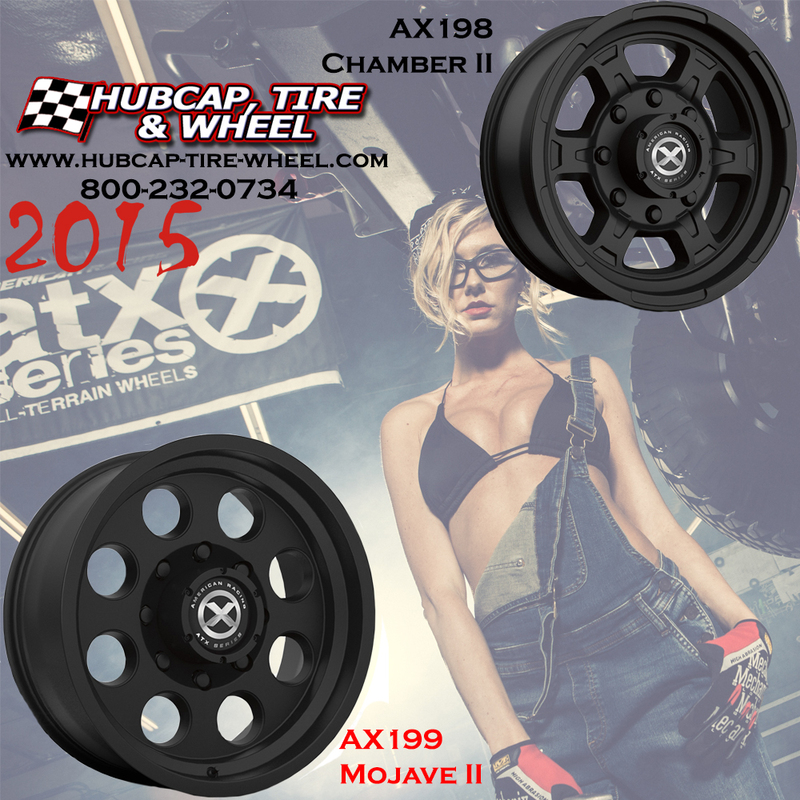 The new 2015 ATX Series Rims are now available. The new additions: AX198 Chamber II and the AX199 Mojave II. Both of them are available in satin black with sizes ranging from 15×8 all the way up to 18×9. There wasn’t a lot of additions for the 2015 wheel line with ATX Series which was a little disappointing because we were expecting bigger things for the ATX line but the two they did add are very nice and did a great job with the design. The AX198 (Chamber II) and the AX199 (Mojave II) definitely give the off-road look. If that is the feel and style you are going for then you will absolutely love these new wheels. If you have any type of fitment questions whether it be the fitment for wheels on your vehicle or for tire fitment, give us a call: 800-232-0734. Our wheel and tire specialists have over 70 years of combined experience and they are ready to help you get the perfect fitting wheels and tires for your vehicle. Also, to back up our claim, we offer GUARANTEED fitment or your money back.